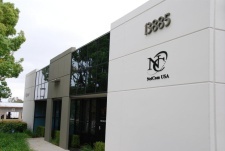 Headquartered in Irvine California, NetCom USA has maintained its position as one of the industry's leading manufacturers of computer peripheral products through strategic and creative alliances with top manufacturers, global partnerships with valued customers, and an unrelenting pursuit of quality and customer satisfaction. Founded in 1994, NetCom USA has continued a sharp focus on being able to offer the newest in peripheral technology specializing in storage products for a wide range of industrial and consumer applications. With an attentive ear to its broad range of customer's voices, NetCom continues to expand on current product lines meeting always developing demands, offering superior price performance, and ensuring the highest quality standards and excellence.